Elevator, a social enterprise that supports start-ups in Scotland, revealed it has generated more than £6 million for the Scottish economy, as it hosted a visit from Finance Secretary Derek Mackay. 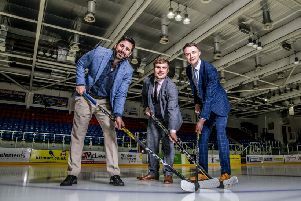 The accelerator, Scotland’s largest provider of Business Gateway services, said it has generated £6.6m of value by re-investing almost £600,000 into the Scottish economy. Elevator unveiled the figures as Mackay visited its Aberdeen Centre for Entrepreneurship. The organisation, which runs additional entrepreneurial hubs in Dundee and Fraserburgh, announced plans to replicate its regional centre model across the rest of Scotland. Last year Elevator delivered 22 per cent of the national Business Gateway target. Chief executive Gary McEwan said the group’s approach of reinvesting surpluses into local economies created “improved value for government and a broader range of innovative services available to businesses”.